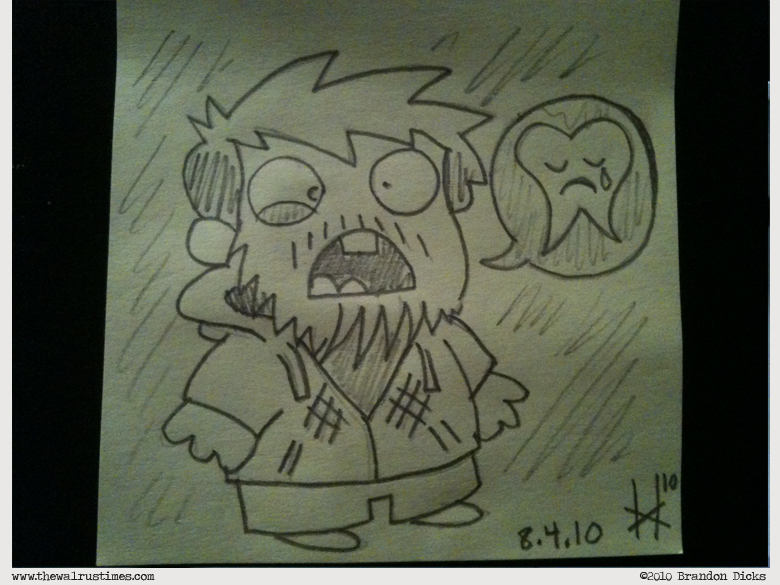 The Melancholy Molar or Viva la Vicodin! Teeth. We eat with em. You’d think they’d be made of awesometanium or something cooler than weak teeth matter. Silly molar .. you keep this up I’m gonna take you out back with a screw driver and a hammer.. Or I could just go to a dentist. DENTIST! Found out why the new stuff wasn’t getting batched (today and yesterday) .. turns out some genius with an iq in the quadruple digits didn’t click ’submit’. For a UI artist I failed pretty hard last night at missing the GIANT RED BUTTON. Back in my day we didn’t have these fancy TEETH as you call it. Teeth weren’t invented yet. We had to find ROCKS to chew with. Consider yourself fortunate!